Well I haven't had a drink in 18 years now. But when I dd drink it was Chevas Regal. Mostly liked it with some seven-up. 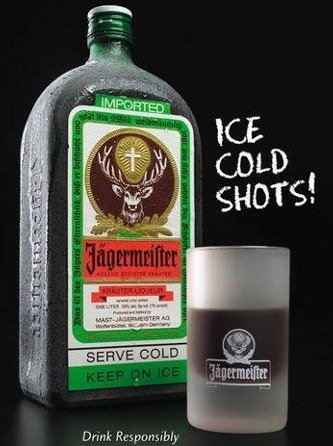 Jagermeister? Bit sweet fer my taste. The doctor prefers akvavit for freezer booze. But, for finest sipping, there's nowt like the Single Malt. Your Tap Water Is Poison!! !